I will be guest presenting for one of session in the upcoming Jacobs & Stone Multichannel Marketing Communications (MC²) Certificate Program. The program seeks address the needs of modern marketers and provides the latest strategies, tools, and techniques in direct, interactive, digital, and database marketing. The program runs on Wednesdays, September 10 – November 12, 2008, 6:00 p.m. – 9:00 p.m. I will be presenting on Paid Search. 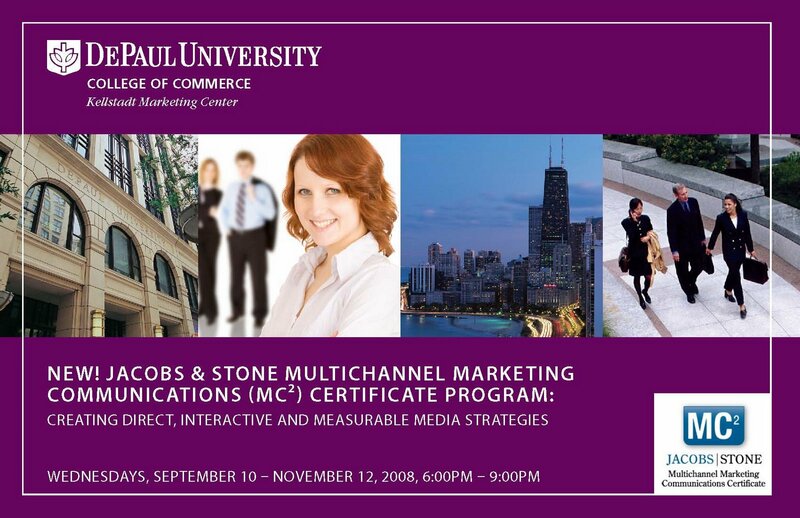 For more information visit the website (http://cpe.depaul.edu/mc2). On Tuesday 26th August I will be presenting this month's Technology Tuesday on the Livescribe Pulse Smartpen. The Livescribe Pulse Smartpen is a new device that your students may be using to take notes. It records both what is written and what is heard - and then mixes these two streams into what is referred to as a “pencast” (which can then be shared over the Internet). Each smartpen can record between 100-200 hours of audio. The pen is “smart” enough to translate basic text into several languages, as well as basic arithmetic. The session will conclude with recommendations and best practices. 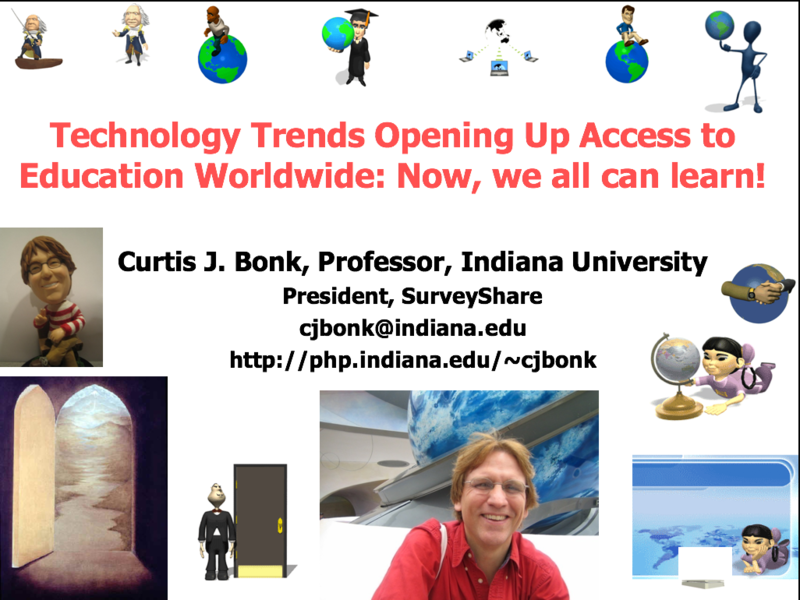 For more information or to RSVP please visit the Technology Tuesday page. The Pulse pen records audio and synchronizes this recording with what I noted in my journal. The shared recording is converted to an Adobe Flash file. You can view the recording on my Livescribe community pages. Five Billion “Have-Nots” Have at It! Typically I take a second or two to cogitate after I hear something profound. Thus, clicking on my notes plays back the audio from a few moments after something of importance has been said. It would be nice to easily jog back 10 seconds from that point (rather than messing with the navigation). I wish I could charge/sync the pen with a mini-USB cable. I forgot to bring the dock to Madison. The pen’s batteries ran out at the end of the first day (a better battery indicator would be nice too). The pen does not have a clip. If I set it down on a fat surface it does have a tendency to roll (typically covering the microphones in the process). 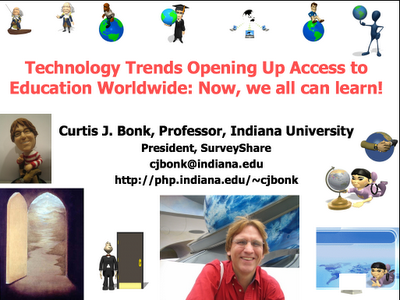 UPDATE: PDF handouts from the keynote presentation can be found on Curt Bonk's TraningShare website. 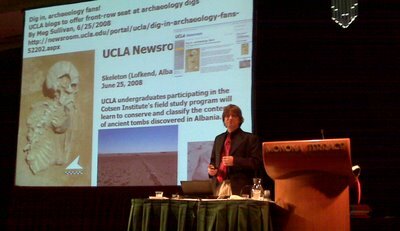 Full day of events at the 24th Annual Conference on Distance Teaching & Learning. Managed to pack in as many presentations and workshops as I could following a 6:45 a.m. working breakfast (scary). Met many interesting folks. Filled my brain with ideas. Still testing the Pulse Livescribe pen here - unfortunately I neglected to bring a charger with me and the pen died during a Penn State presentation.... Somewhat ironic. Curtis Bonk kindly agreed for me to share my Livescribe recording. This should be up Friday night/Saturday morning. Hope the audio came through. 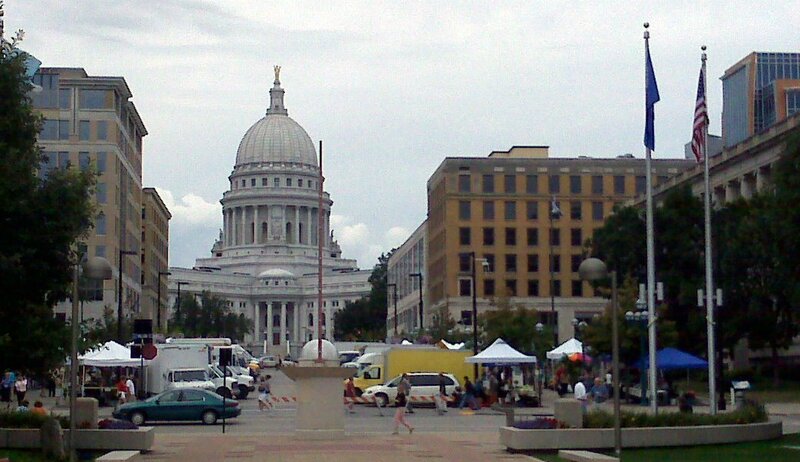 Arrived in scenic madison for the 24th Annual Conference on Distance Teaching & Learning. Looking forward to a great convention. The December iteration of DOTS (DePaul Online Teaching Series) is now open for applications. This is a great opportunity for Commerce faculty to develop materials for amazing online and blended courses. Current behavioral targeting is little more than contextual targeting—presenting ads based on sites a consumer visits or retargeting consumers who saw a particular ad before. To truly live up to its promise, behavioral targeting should be based on much more, including actual transactional behavior, both online and offline—taking advantage of an offer or making a purchase—and should factor in demographic data for the most complete picture of each individual consumer. This allows us to predict behavior - the holy grail of every marketer. On September 19th CADM is offering a special breakfast meeting featuring Matt Wise, CEO of Q Interactive, a 10-year-old, industry-pioneering company in targeted online marketing. Hosted by the Interactive Marketing SIG, this event is open to the CADM community as well as guests, clients, and non-members. I just became aware of a site by the name of Flypaper. 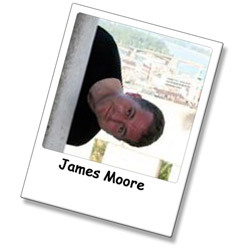 The site has a free version (and paid as well) of a Flash authoring tool. Looks easy enough to use to create rich tutorials and learning objects. The only downside I can see at the moment is that it requires the Windows operating system.